When Project 21 member Marie Fischer watched the full video of what establishment media and many political commentators portrayed as a confrontation started by Covington Catholic High School student Nick Sandmann and his classmates against Native American activist Nathan Phillips, “[a]larm bells immediately went off.” She knew there was more about what happened on the steps of the Lincoln Memorial that was being largely ignored. 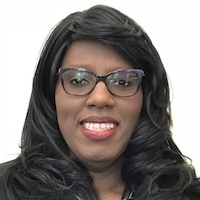 Project 21 members have praised Sandmann for trying to defuse a situation that the left has tried to use for “fomenting racial division as a means of advancing political agenda.” Marie backs up this effort by adding her own unique perspective on a largely unreported aspect of the story. 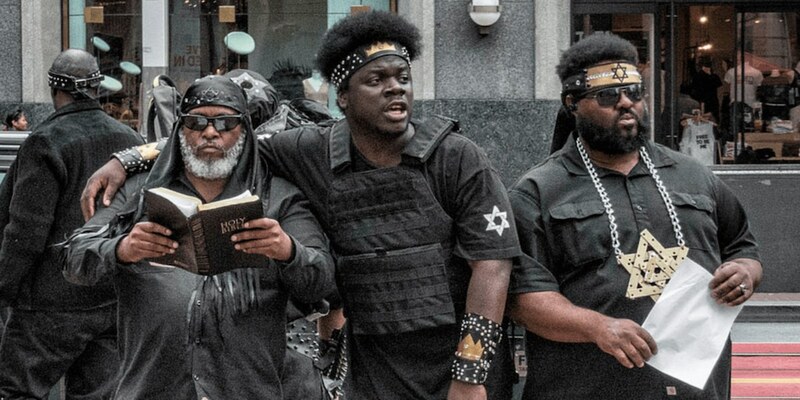 She notes that the provocations on the part of the Black Hebrew Israelites that day have been ignored or downplayed by many reporting and speaking about the incident. She laments that “the media remains focused on finding the next provocation” – and even got that wrong by focusing on Sandmann’s smirking over Phillips’ drumming. 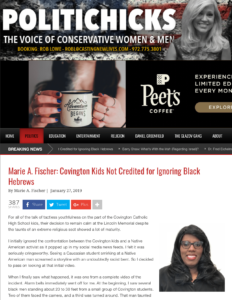 To read Marie’s commentary on the Politichicks website – “Covington Kids Not Credited for Ignoring Black Hebrews” – in its entirety, click here.